I think I should write an ode to the fritter. Although, it would probably be rather short because before I’d even start writing, my keyboard will be covered in drool. I don’t know what it is about fritters that I love so much but I just can’t get enough. Perhaps it has something to do with the fact that my gran used to make her famous pumpkin fritters a lot when I was younger. She would make a giant tray full and bring them out after we had Sunday lunch (we never ate them with the meal like other families). 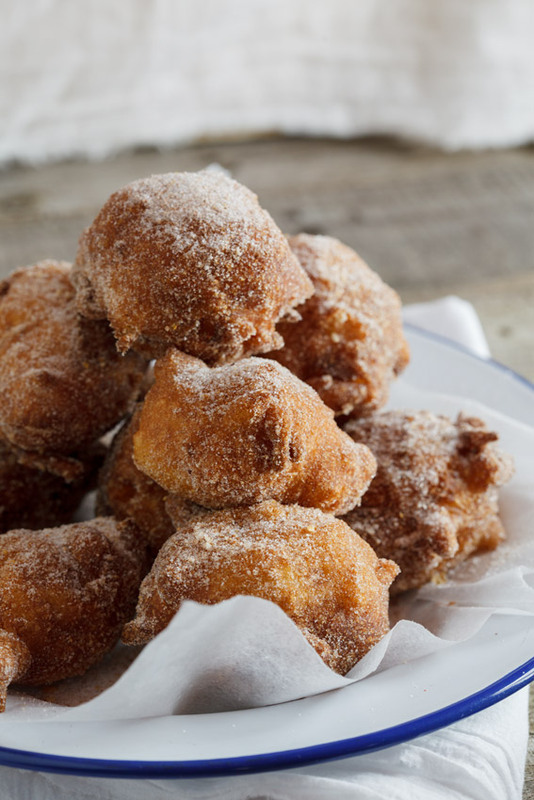 I remember picking up a sticky, syrup-soaked fritter and that first bite. Just heavenly. Sweet with a touch of savoury with the faintest hint of pumpkin flavour. 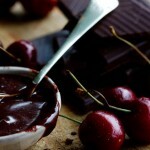 Just thinking of it now has my mouth watering. 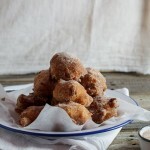 So when I saw a version of these apple fritters on a cooking show a while ago, I knew I had to make my own version. 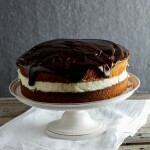 I was so intrigued by the idea of using masala in the coating. I am an absolute curry addict and the idea of using this fragrant spice in a dessert is jut genius. 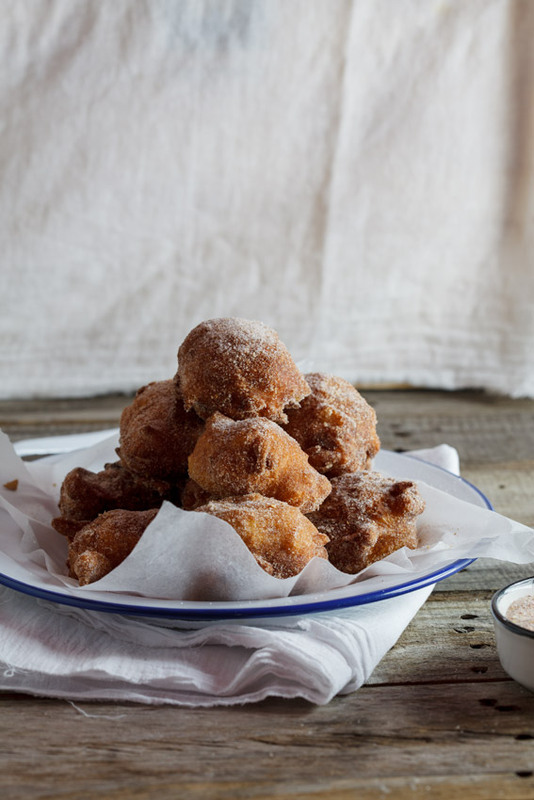 Especially as it adds quite a savoury note to these otherwise-sweet fritters. 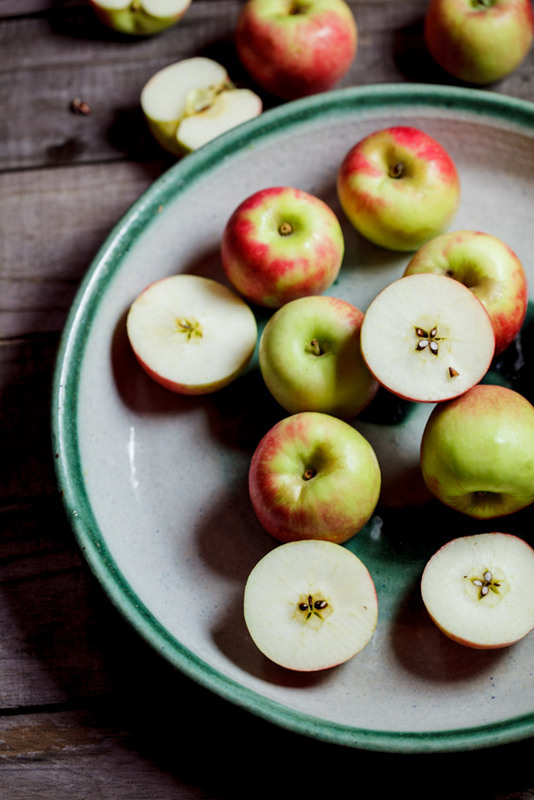 I used Granny Smith apples in this version as I really love their tartness (I’ve made them with other varieties as well and they are equally delicious) and grated them to make them easier to fold into the batter. I think apple puree would be too watery and thin the batter out too much plus I really love the texture of the apple in the fluffy fritter. These were an absolute hit with my family and even the kids gobbled them up (despite the spice). No go forth and make appley, spicy fritters of deliciousness (and come back to tell me what you thought)!! Heat enough oil to deep-fry the fritters in a saucepan/pot. In a large bowl, whisk together the flour, baking powder, salt and sugar. In a separate bowl, whisk together the eggs and milk. Whisk the liquid into the dry ingredients then fold in the grated apples. Fry spoonfuls of the mixture in the hot oil until golden brown and cooked through. 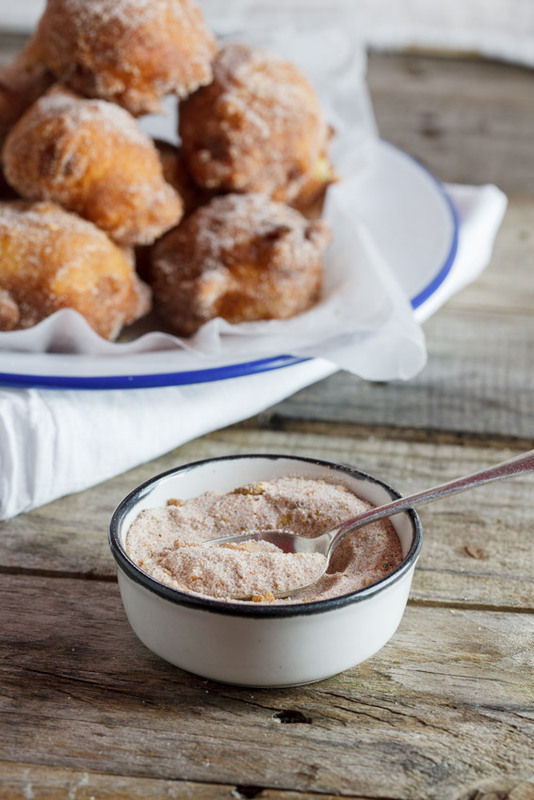 Combine the ingredients for the spiced sugar then coat the fritters in the sugar. Barney, I never actually take the temperature of the oil. If you drop in a bit of the batter, it should turn golden brown within around a minute. If it turns brown sooner than that the fritters will burn and still be raw in the centre.